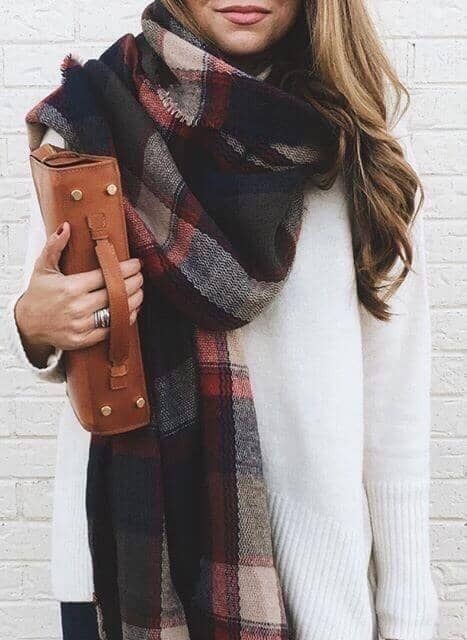 Oh, scarves. 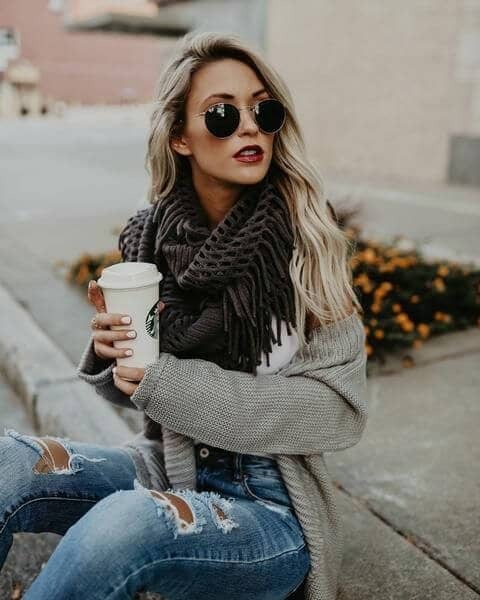 Where would we be without you? 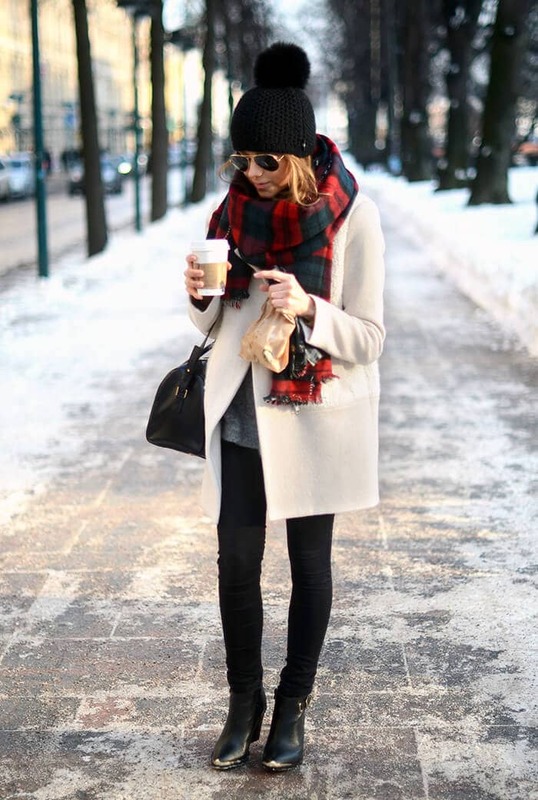 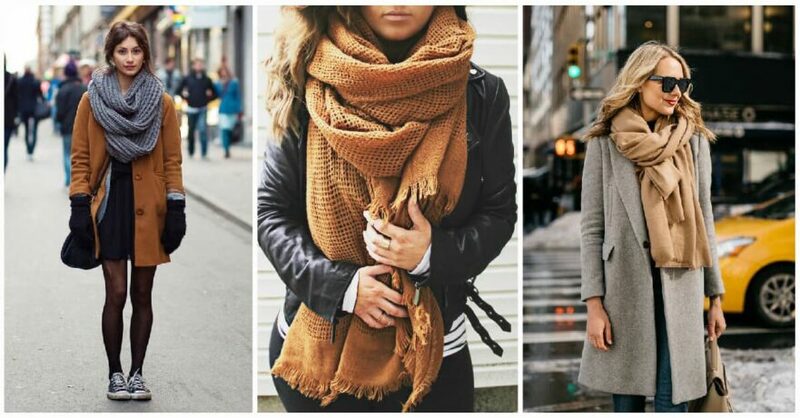 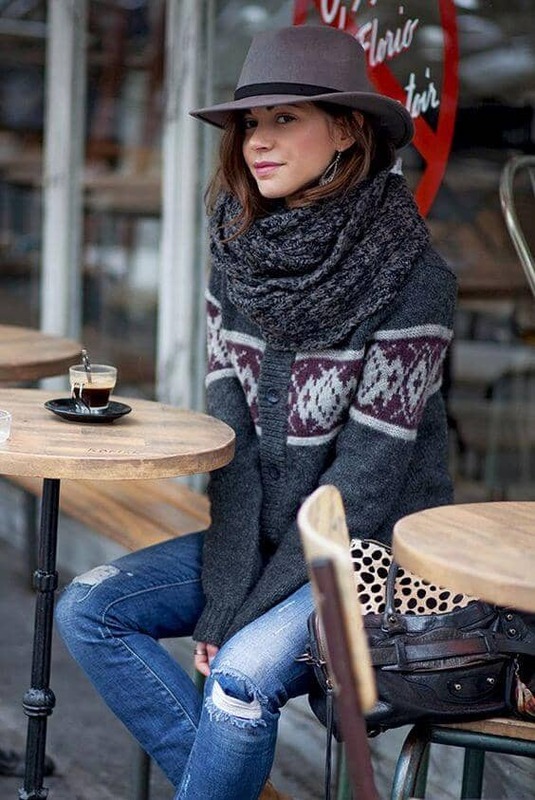 A cozy scarf makes all the difference when it comes to actually making your winter ensemble warm. 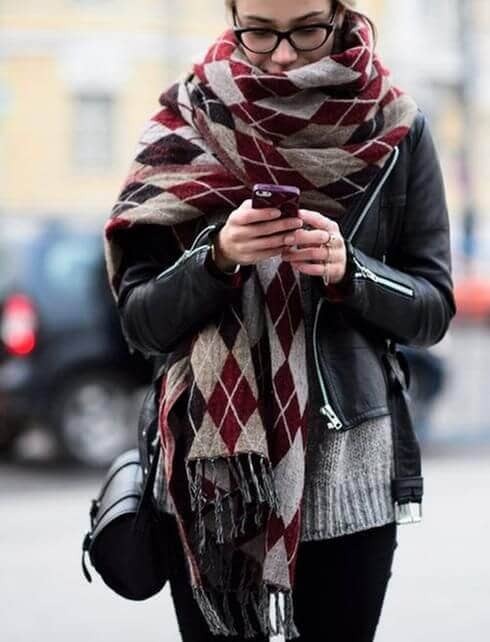 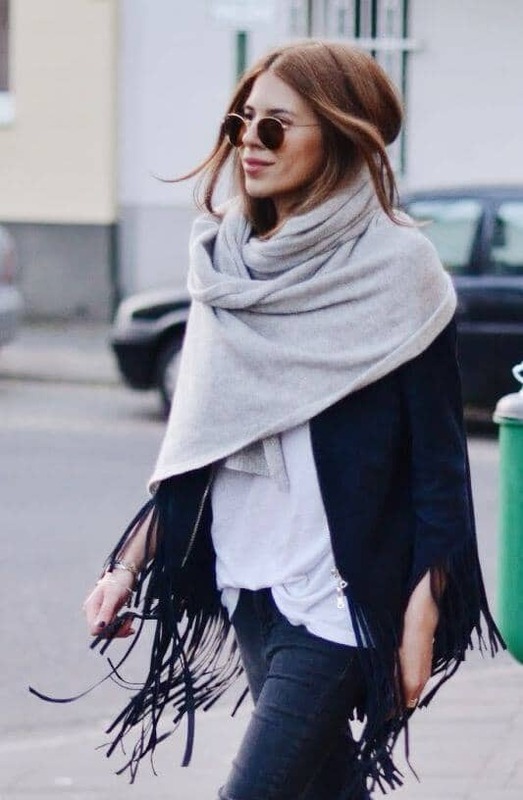 Winter outfits with scarf accessories block out the chill and the wind. 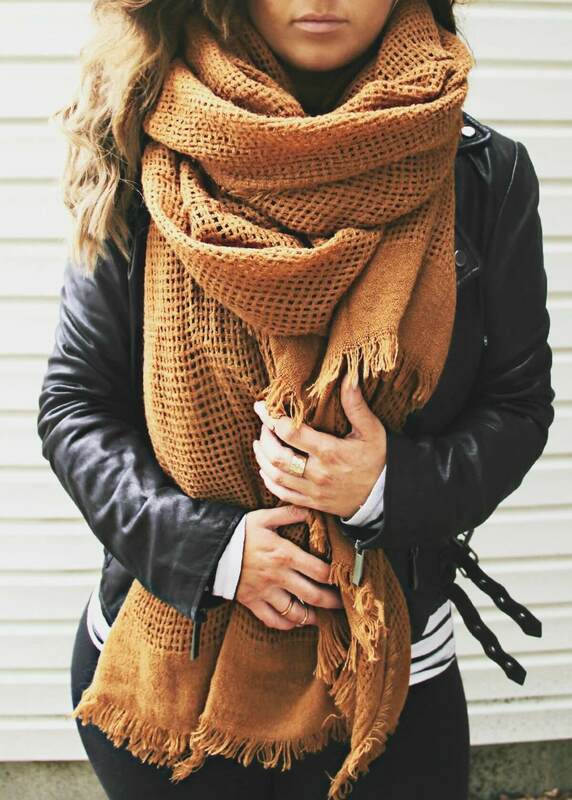 A beautiful scarf can also transition your look from outdoors to indoors, giving you a way to stay cozy (without sweating) as you de-layer inside. 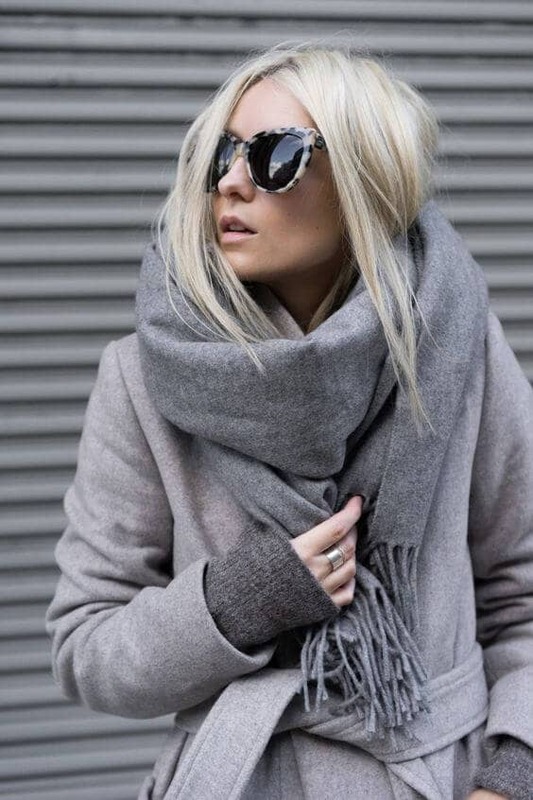 When it comes to picking a scarf, don’t be afraid of volume. 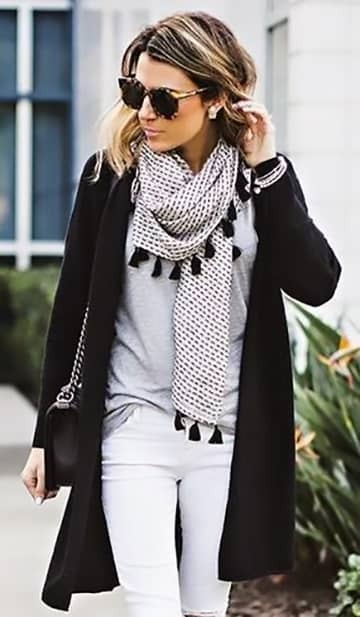 Choose a cozy fabric and a generous size so that you can bundle up your winter outfits with scarf style, and you can unfurl and wrap it around your shoulders indoors. 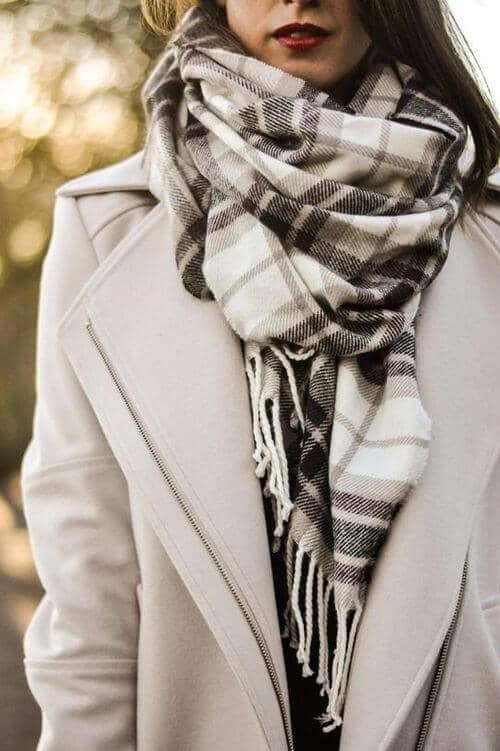 Match up your scarf and coat color for a polished look, or choose a pattern or interesting knit in a complementary color. 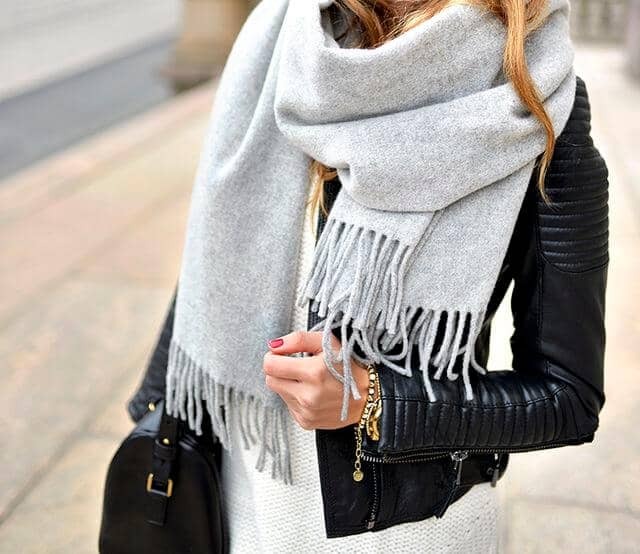 Of course, you can also keep your outfit simple and use a bright scarf as an accessory, too.